A New Day. A NeWay. An urgent request was received from our customer HAE Group to move fuel as cargo domestically from Bamako (BKO) into Timbuktu (TOM) within Mali in Africa. This transport by air was necessary due to the local safety and security situation in Mali, a transport by land and truck was no viable option. NeWay Logistics responded immediately and was ahead of the competition due to our strategically placed Antonov AN32 and AN26 aircraft in Ouagadougou (OUA), Burkina Faso. 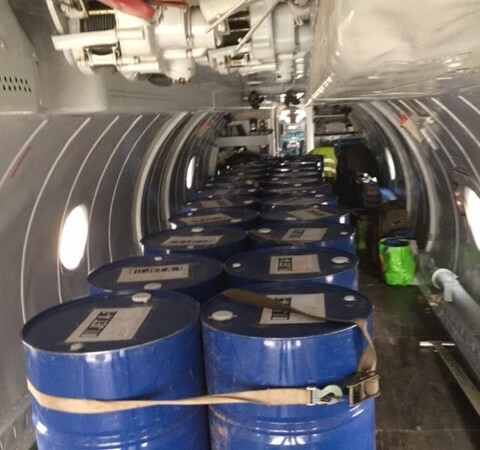 Altogether 26 drums of fuel with a total weight of 4700 kilogram were carried on each flight out of BKO into TOM. On the return sector ex TOM back to BKO the empty drums were carried in order to be re-filled with fuel for the next urgent cargo charter flight. Two flights per day for consecutive days were successfully operated resulting in international peace keeping troops in Timbuktu being able to fulfill their important tasks as planned and without interruption. NeWay Logistics is honored being able to help out in this very time critical and security sensitive project and is very pleased to know that the customer is satisfied with the service provided, a service which could not be offered by any other party.